I like contributing to open source projects. I also love using Groovy for programming. Unfortunately, contributing to programming languages scares me because of all the grammar and parser stuff. I’m sure I could get into the internals with time, but I feel that time is better spent elsewhere. Now, one of those places is the Groovy user guide. 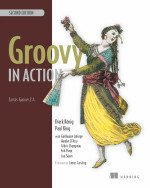 Groovy has been without a proper user guide for a long time now. Yes, there are various pages on the wiki with useful information, but it’s mostly unstructured. So the announcement of a full-blown user guide with language specification filled me with anticipation. And recently, the penny finally dropped and I realised this is something that I can contribute to. I know how to write Groovy, so all that’s required is a little bit of writing. 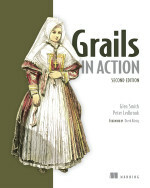 This entry was posted in Groovy & Grails on June 21, 2014 by Peter. by Dierk König et al.